Well here we go – one of the biggest run-ins for many a year. Five games stand between Slav’s men and an elusive spot in the play-offs. It’s still in completely our hands, but the room for manoeuvre has well and truly expired. Saturday’s win over Ipswich was routine but completely necessary in order to keep toe-to-toe with Sheffield Wednesday, who’s win over Newcastle has briefly given them the upper hand in the top 6 chase. Not to mention, it keeps us just clear of Derby, who are well positioned to pounce should both ourselves and our Yorkshire rivals lose the pace. Out of all the sides chasing the play-offs, Fulham have the toughest run-in when looking at the current league position of our opponents. The first of those tough tests comes on Good Friday when we travel to Carrow Road looking to continue our impressive run of just one defeat in 19 against the Canaries. Repeating the trick will not be easy, with Norwich thumping 4th placed Reading 7-1 at the weekend. Despite this, Norwich are still 9 points off the play-offs, meaning reaching the top 6 is a tall order with only 15 points remaining on offer. 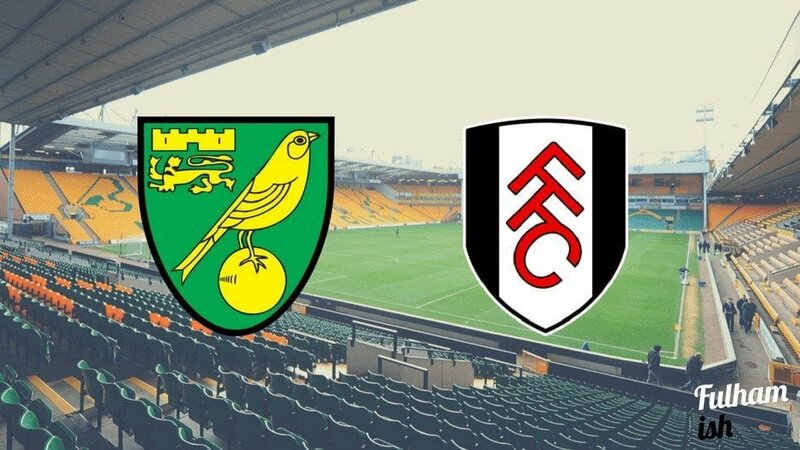 When the sides last met in October, Norwich arrived at the Cottage top of the league and surely confident of a swift return to the top flight. The visitors roared into a 2-0 lead through two questionable penalties, before a Chris Martin masterclass inspired a spirited come-back to claim a point. Norwich then failed to win their next five after that, and their promotion charge has never quite recovered. Martin may have to be at a similar level against his former club if Fulham are to haul their second East Anglian win of the season. Norwich have an exceptional home record, with only three defeats all season – the most recent of which was way back in December against Huddersfield Town. Wes Hoolahan continues to be Norwich’s most dangerous player, and Fulham will have to be wary of his threat from set pieces. Howson, Jerome and Naismith are also players that have proven themselves at the highest level. It promises to be an entertaining game and hopefully the sell-out away crowd will also be treated to three vital points. Slav made some big calls with the line-up against Ipswich, dropping David Button and Tim Ream who have been ever-presents in the starting line-up for much of the season. We expect Slav to stick with Bettinelli in goal but his substitution of Madl with just 57 minutes gone and no sign of injury was hardly a giant vote of confidence and surely this signals a return for the much-maligned Tim Ream. Up top, we don’t envisage many changes, and surely now Chris Martin is a must if we are to truly challenge during these next five games. We could maybe see Aluko being rotated for Piazon or Kebano, but other than that, as you were for us! Wes Hoolahan, known as Wessi from here on out, has been Norwich and Ireland’s creative hub for the last decade. Wessi was instrumental in destroying Reading in their 7-1 win, bagging his 50th Canaries goal in the process. Blessed with incredible footwork and intelligence, it is up to Fulham’s silent assassin to kill any threat at the source. Kevin McDonald has played a pivotal, yet underrated, part in Fulham’s success this season. The big Scotsman acts a shield to our defence and has put in a number of stellar performances in a Whites shirt. If the Whites are to shutdown Wessi, McDonald is our key man. These are the kind of games where you need to pull something out the bag. The form book probably says a Norwich win as does the head of most Fulham fans. However, if we get into the top six we’re gonna need a few big results – and Carrow Road would be a pretty good place to start. With this cautious bravado, we’re gonna go for a dramatic, euphoric 2-1 win to Fulham.